If you've lost your SSH key passphrase, depending on the operating system you use, you may either recover it or you may need to generate a new SSH key passphrase. If you configured your SSH passphrase with the OS X Keychain, you may be able to recover it. In Keychain Access, search for SSH. 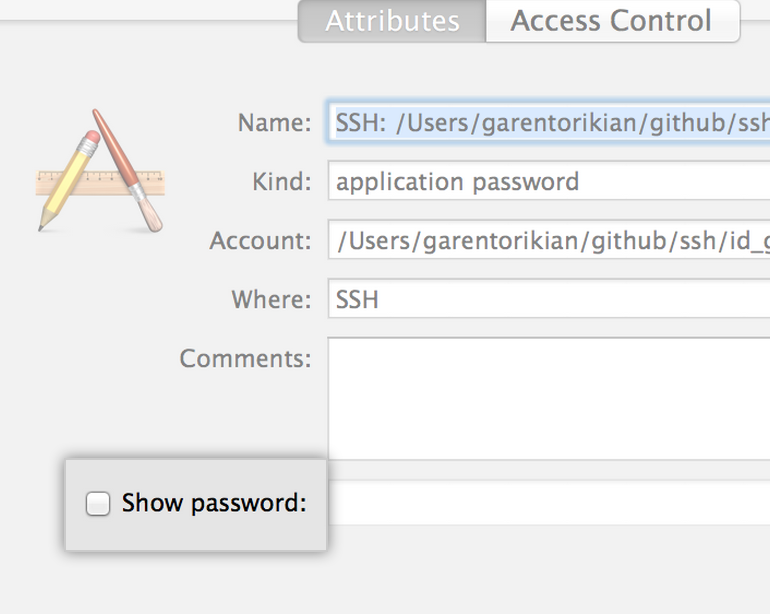 Double click on the entry for your SSH key to open a new dialog box. In the lower-left corner, select Show password. You'll be prompted for your administrative password. Type it into the "Keychain Access" dialog box. Your password will be revealed. If you lose your SSH key passphrase, there's no way to recover it. You'll need to generate a brand new SSH keypair or switch to HTTPS cloning so you can use your GitHub password instead.